Why get married in Kent? Kent is a beautiful location for a wedding; boasting several fantastic venues across the region – both grand and intimate – from majestic castles to cosy barns. With weddings, we know that they are all unique and personal to each individual couple, so having a variety of options in Kent is a real benefit. Having your dream wedding and not breaking the bank can seem overwhelming and difficult at times – especially with so many ideas and influences out there now thanks to Twitter to Pinterest! Everything is possible and the options are endless. Holding your wedding in Kent means that you can have that princess castle or private country estate without the London price tag! You’ll find that you can spend less and get more for your money. Given the different styles of countryside reception venues available across the county of Kent, each one has its own characteristics and personality; meaning that you won’t need to add much to make it look spectacular. Why get married close to home? Not only are there an array of venues that could work well for you, but all over the region there are a variety of local wedding suppliers and vendors ready to help create your wonderful occasion. Using local suppliers such as florists and bakers, keeps that authentic feel to your day and means you won’t need to look too far to find what you are after – especially if are originally from the region and know it fairly well. Most wedding venues and caterers within Kent will be able to guide you and provide local recommendations; making the planning process much simpler and so much more fun. People sometimes tend to be reluctant to travel long distances to attend a wedding reception. As excited as they may be, this is still generally considered a little bit of a hassle for just a few hours at the evening part of the event; especially for a family with small children to travel across the country for example (not mentioning travelling abroad to appear at a friend’s wedding reception!). Furthermore, the upside for you of keeping your wedding close to home is that when the party winds down in the early hours, your local guests may like to head home to rest rather than stay overnight – there is no place like home as some say. So if your wedding guests decide not to use your suggested accommodation options, it means you have one less thing to worry about when planning, and it could help you see a notable saving in your wedding budget spreadsheet. So if you are keen to find an affordable countryside wedding venue to keep within your strict budget, keeping it local to where your important guests live can be a real advantage. Where can I get married in Kent? Places to get married in Kent are commonly considered to be the extraordinary selection of idyllic period castles, small intimate hotel venues and lavish banqueting halls, surrounded by acres of parklands and garden areas. You are sure to find the perfect space for your traditional English country wedding or romantic location for a civil ceremony or vows renewal. Country house and period castle wedding venues across Kent have a competitive advantage over city wedding halls, in that they often come with on-site accommodation available for your guests. Because of this, hotel wedding venues throughout Kent are highly regarded as an affordable way of hiring a venue for a wedding reception. If some of your guests are travelling from afar or simply choosing to stay overnight, and you are looking for a reliable way of providing them with a night’s lodging – hiring a hotel wedding venue is a win-win situation. Plus it means both you and them don’t need to worry about arranging a means of transport from the wedding party to your guests’ hotel. Booking a hotel wedding venue in the country additionally makes it more comfortable for your guests – they can easily unload their luggage at the hotel if they arrive early, and have a rest before the ceremony if they’ve travelled a long way. Also, wedding attendees can leave the party whenever they wish, simply taking a short walk to the hotel section of the building. With a rich history dating back to the 14th century, Penshurst Place is a picturesque and romantic manor house surrounded by large gardens. Previously owned by Kings and Lords, it is managed by the Sidney family and thanks to their efforts, is a brilliantly well-maintained gem amongst all hospitality venues across Kent. 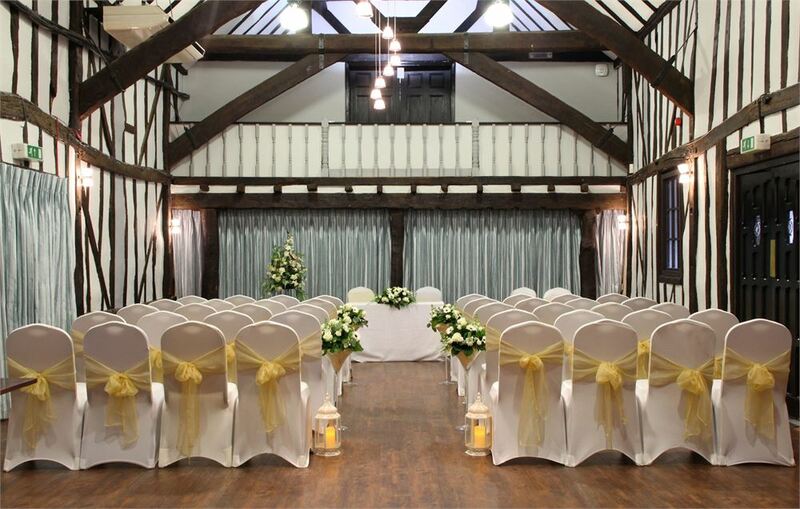 Penshurst Place is available to hire for receptions and civil ceremonies. Its medieval interior features a wonderful selection of oil paintings, periodic detailed furniture and tapestries. This historic event venue is usually open to the public for guided tours and various family activities and events that could entertain your guests as well, if you hold a weekend getaway wedding. A long guestlist would not be a problem at Penshurst Place – with its ever-present greenery, marquee tents can be erected in the adjoining gardens in addition to the roofed function room you can hire, to accommodate larger wedding parties. 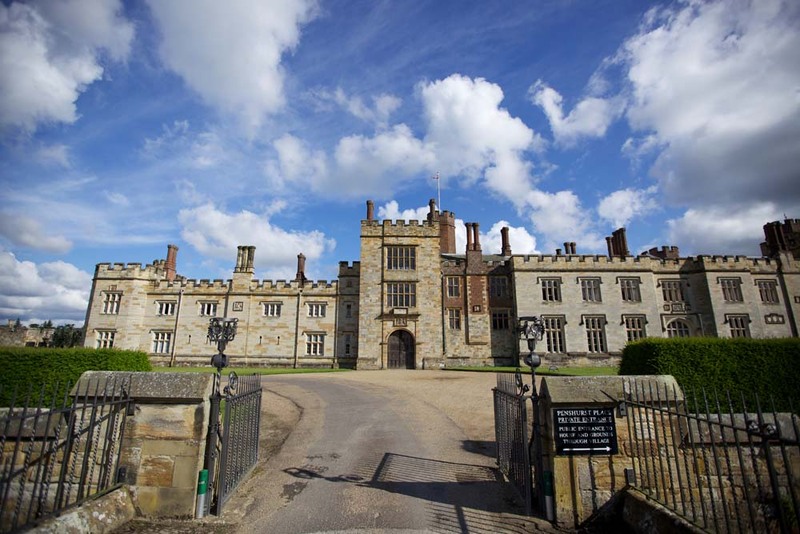 Penshurst Place is a country wedding venue that also offers an additional accommodation option for your wedding guests, boasting multiple en suite rooms with modern amenities and contemporary furnishings. Just imagine yourself in that dream dress gliding through the rose gardens in the stately home, or dancing under the fairy lights in the beautifully rustic barn house venue with your Prince Charming. Kent is a countryside paradise for a peaceful and romantic wedding, and is most certainly the place to be in 2017! 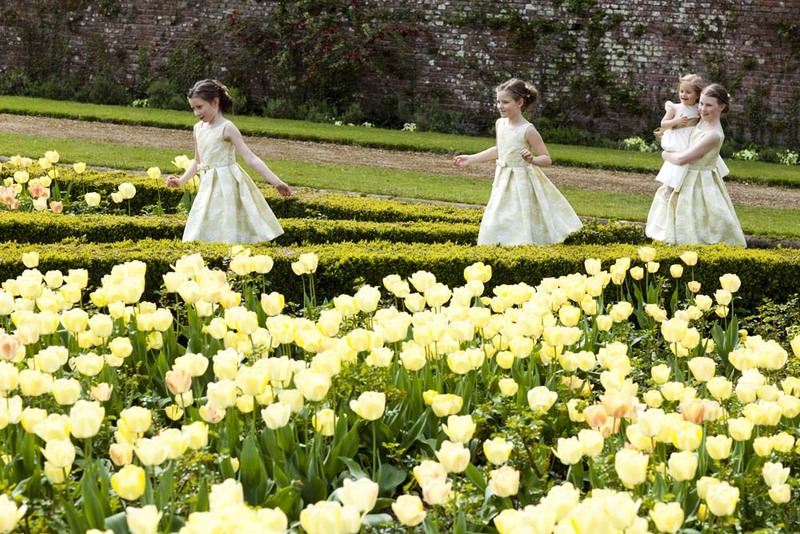 Browse our venue catalogue for more wedding estates for hire throughout Kent.